This is a pouch of my own design. Great for a general utility pouch. Keep your wallet or phone safe at your side! The back has a belt loop to fit up to a 3" belt and two eyelets that can be used to feed a lace through to wear as a small shoulder bag. 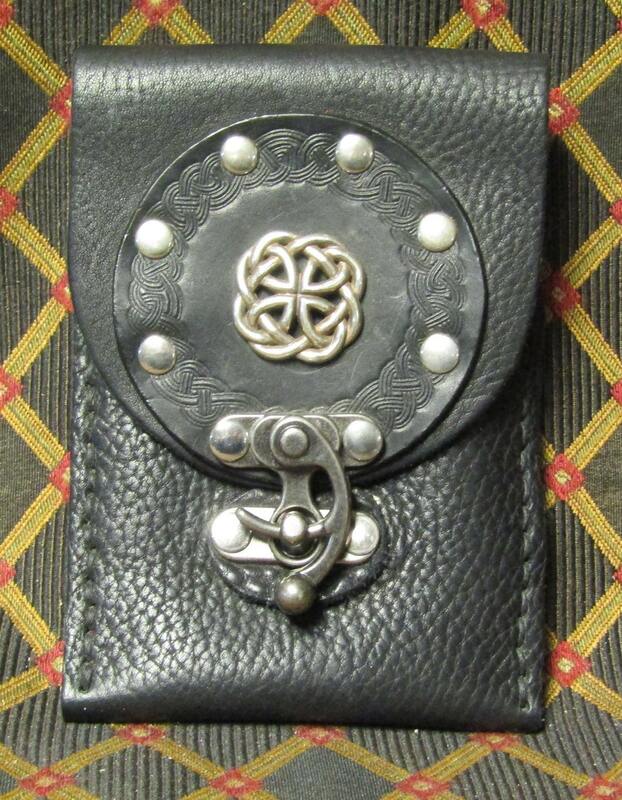 This pouch is red with a black celtic circle medallion with a celtic concho riveted on to the flap with an antique silver swing arm latch closure. Each pouch is hand stitched with black thread for durability and quality. The pouch is about 6" tall and 4-3/8" wide.